EA Is Being Sued Over A... Tattoo. From 2004. 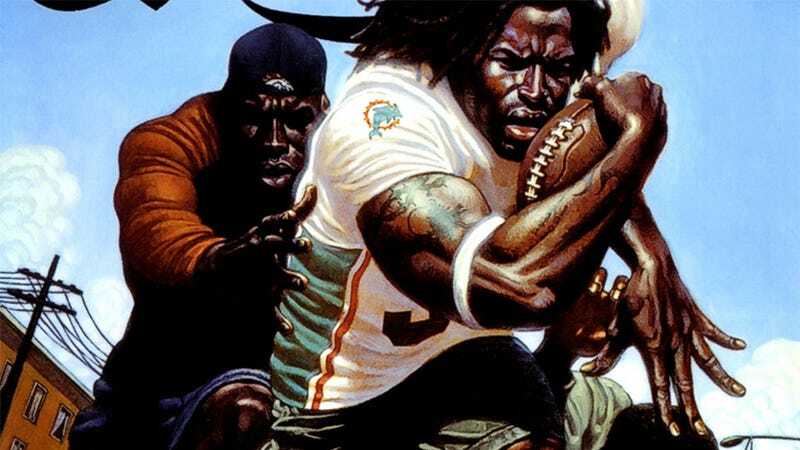 The game in question is NFL Street, a console game released by EA Sports in... 2004. Despite the game's age, Allen says he only became aware of the use of his art in 2010. He says the tattoo featured on the cover—represented in an illustration, which you can see above, and not a photo—was inked on Williams in 2003.